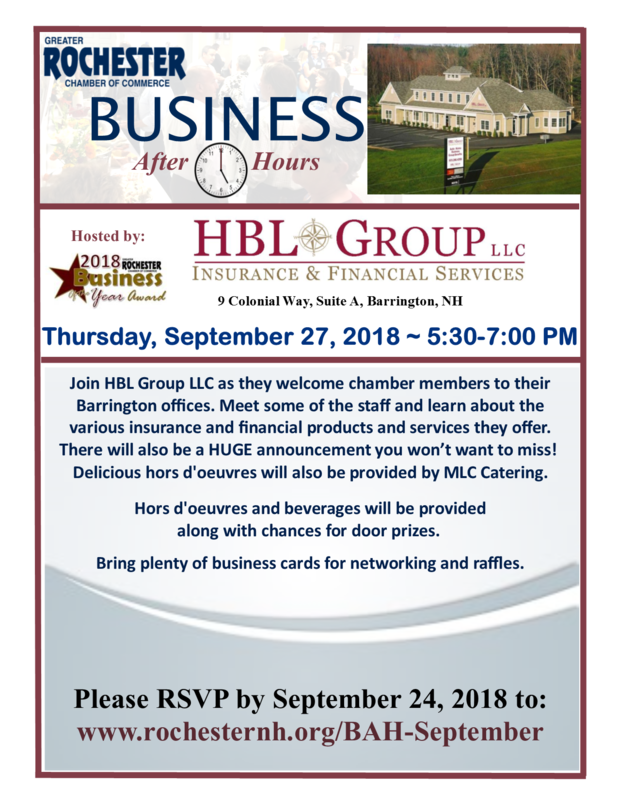 Join HBL Group as they welcome chamber members to their Barrington offices. Meet some of the staff and learn about the various insurance and financial products and services they offer. There will also be a HUGE announcement you won’t want to miss! Delicious hors d'oeuvres will also be provided by MLC Catering.